This project resulted in the development of low-cost successful restoration strategies for restoring former mine systems. As examples of these strategies, two mining pit lakes were successfully restored. 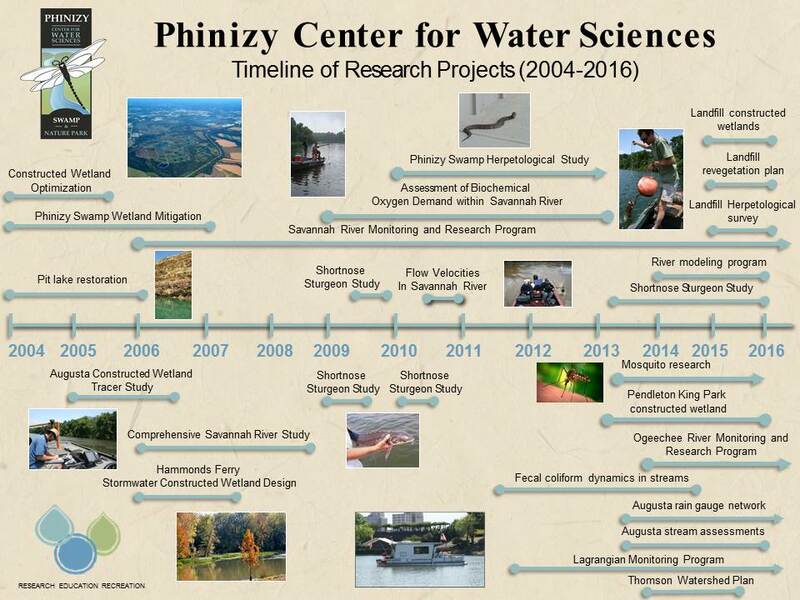 Additionally, it helped establish one of the largest databases in the world of water quality and restoration data related to a former gold mine site and provided a Ph.D. opportunity for one of our researchers. In partnership with the Augusta Utilities Department, we played a role in designing one of the country’s largest manmade wetlands, which are used for the tertiary treatment of municipal and industrial wastewater. Design of the gravity flow fed cells was enhanced by results from our experimentation with different wetland plant types, optimization studies, and tracer studies. The success and effectiveness of this natural water treatment method has generated interest both locally and abroad, with interest from as far away as the African Water Managers.